Protective Workwear is a topic often discussed and much written about. Originally protective workwear tended to apply to persons who worked in factories – and as we all know this did not cover all persons at work. The introduction in the EU of the PPE Directive 89/686/EEC covering the manufacture and marketing of personal protective equipment was aimed at harmonising health and safety requirements for personal protective equipment (PPE) and to harmonise the technical standards for PPE for all those who follow them. With this came new legislation in all EU member states and the introduction of the term Personal Protective Equipment (PPE), which refers to protective clothing, helmets, goggles, or other garments or equipment designed to protect the wearer's body from injury or infection. The hazards addressed by protective equipment include physical, electrical, heat, chemicals, biohazards, and airborne particulate matter. "Protective clothing" is applied to traditional categories of clothing, and "protective gear" applies to items such as pads, guards, shields, or masks, and others. The extent to which PPE is now used and the diversity of activities that it is used for has led to huge technological advances in the type of PPE available and a vast increase in the number of manufacturers supplying this equipment. The PPE guidelines, recently updated by version 24 in August 2017, aim to facilitate a common interpretation and application of the PPE Directive. As of 21 April 2018, Directive 89/686/EEC will be repealed by the new Regulation (EU) 2016/425 of the European Parliament and of the Council of 9 March 2016 on personal protective equipment. The market for PPE opened as the workplace diversified and the use of PPE gained wider applications. People no longer worked in factories alone, advancing technology created different challenges for work and new industries presented new hazards. Advances in medical science and the blossoming concern for health and wellbeing generated a wider concern for preventing occupational ill health. As the PPE industry itself grew and developed, so too did its availability and application. Protective equipment is not only worn for job-related occupational safety and health purposes, it is now commonly used for sports and other recreational activities. The growth of the leisure industry across the world has necessitated the application of PPE to this sector and its use by persons who work in the sector and people that participate in their leisure time. Whilst good ergonomic design of PPE can help to minimise the barriers against its use and can therefore help to ensure safe and healthy working conditions through the correct use of PPE, I believe the wider use of PPE in the leisure sector has made wearing PPE more socially acceptable. It is now a common sight to see people cycling to and from work wearing numerous items of PPE – cycling helmets, masks, hi-visibility vests to name but a few. It is now more common to see people changing a tyre at the side of the road and wearing a hi-visibility vest. This all appears positive – but is it? PPE is still commonly worn incorrectly, it is frequently poorly maintained if it is maintained at all, and it is very often incorrectly selected, consequentially failing to offer the level of protection necessary. Most frustratingly of all, employers often see PPE as the easiest and the cheapest option for managing risk and this presents a significant and growing challenge for practitioners. 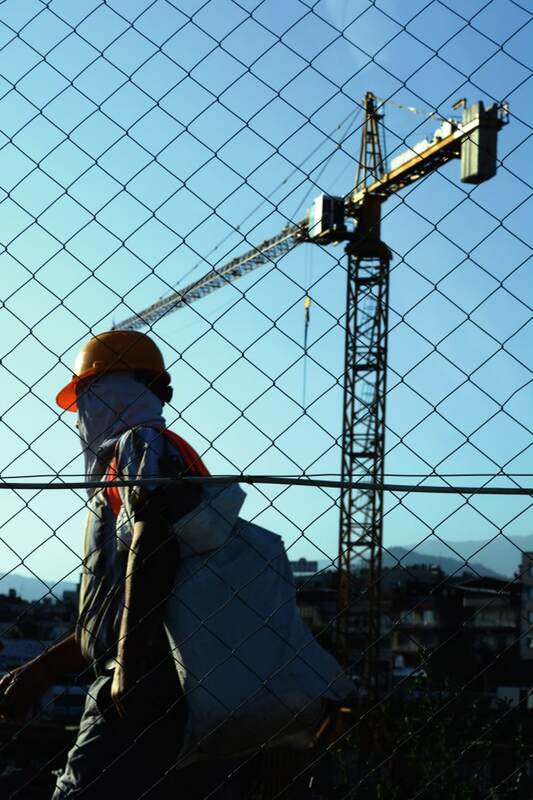 Almost all safety practitioners are familiar with the term “PPE should be worn as a last resort” – but what does that really mean and do they realise why? The purpose of Personal Protective Equipment is to reduce employee exposure to hazards when engineering controls and administrative controls are not feasible or effective in reducing the risks encountered to acceptable levels. 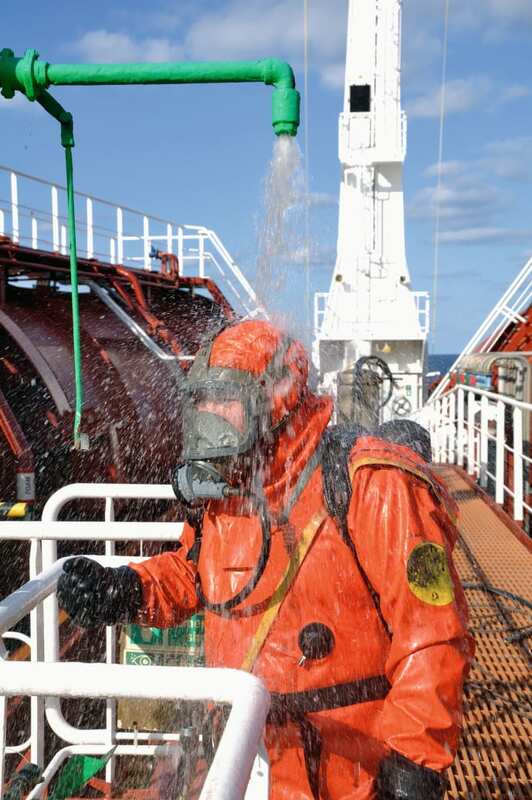 Whilst PPE may well be needed when there are hazards present, its limitation is that it does not eliminate the hazard at source, indeed it does nothing to the hazard at all and may result in employees being exposed to the hazard if the equipment either fails, is poorly maintained, or more commonly is not worn correctly. Articles of PPE are designed to impose a barrier between the wearer and the hazards encountered in the working environment; creating an additional strain for the wearer, impairing their ability to carry out their work and creating significant levels of discomfort. This in turn discourages wearers from using PPE correctly, therefore placing them at risk of injury, ill-health or, under very extreme circumstances, death. Gone are the days where employers simply do not provide PPE. Now, due in no small part to the growth of the PPE industry, it is more readily available and it is much cheaper. 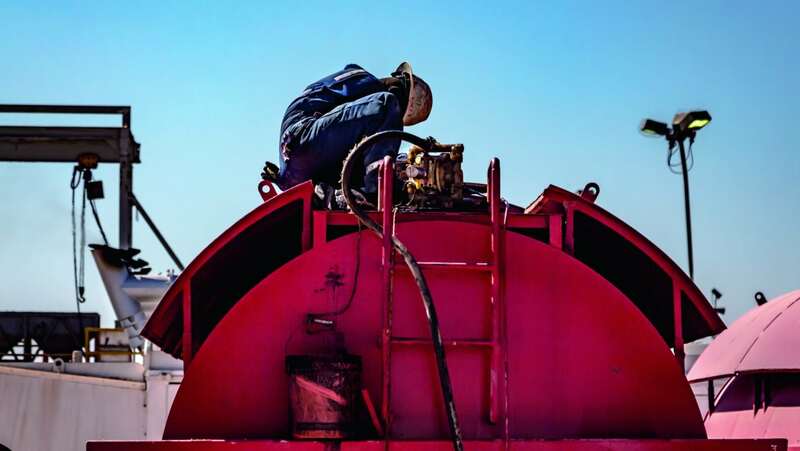 Thus, as the global oil price remains low and projects face budget restrictions it has become an easy solution for the procurement teams to save money, by purchasing cheaper PPE. I recently specified the PPE required for a small engineering team and found that I could obtain safety boots in the UAE for as little as 70 AED. Why then did I specify safety boots at 350 AED? So, if you can buy safety boots at 70 Dirham and you now have to provide PPE for a large project that is, as they commonly are in the Middle East, labour intensive, why would you spend five times the price – after all, a safety boot is a safety boot right? A very recent accident that I had the misfortune of investigating involved an employee slipping on a rocky outcrop and fracturing his ankle. His employer had not considered the risks associated with the topography, the employee did not recognise the hazard and despite wearing safety footwear, the boots provided did not afford him high ankle support and as a result he slipped and turned his ankle. A simple accident that took place while doing nothing more than walking, but the result? A fractured ankle that requires surgery and an employee off work for a protracted period. Whilst it is accepted that good design is important in ensuring that employees wear the PPE that is provided for them, nothing is more singularly important than the correct selection of the PPE. Often, what happens is that the procurement team are requested to buy PPE such as gloves and they in turn, due to a lack of technical knowledge, the failure of the safety team to adequately specify the gloves required and the competing economic demands on projects, determines that price rather than purpose is the most critical factor in the purchase. So, the problems of selection run deep in many organisations – ‘procurement’ do not have the requisite technical knowledge, safety teams are often not consulted when selecting PPE and when consulted, very many of them also do not have the necessary technical knowledge to assist them. The project management team are under pressure to reduce budgets or redirect budget to other areas – what should they do? The problem is not difficult to overcome; you do not always need to engage expensive consultants to determine what PPE you require. The technical support team that many of the more responsible suppliers of PPE have will help you select the equipment you require, and the technical data they provide will enable you to determine its use. They will often come to you free of charge and assist with the selection, just be cautious as distributers also send people to you and they do not always know the products. Companies should prepare a PPE specification that identifies the type and nature of protection required by the work that is undertaken in the workplace. What are they exposed to (the hazards)? How are they exposed to the hazard (by hand, breathing it in etc.)? I have often witnessed the use of a matrix by organisations as a means of preparing the ‘specification’, but this is often a simple list of tasks cross referenced against the type of PPE that should be used, i.e. the task is welding so the protection required is gloves, eye protection, face protection and an apron. Whilst this is a simple approach it does not adequately specify the type and nature of the protection, and does not enable the procurement function to source the equipment you and your employees require. Choose products which are CE marked in accordance with e.g. OSHAD CoP 2.0 V3.1 or the Personal Protective Equipment Regulations 2002 (HSE UK) – suppliers can advise you. Choose equipment that suits the user – consider the size, fit and weight of the PPE. If the users help choose it, they will be more likely to use it. If more than one item of PPE is worn at the same time, make sure they can be used together, e.g. wearing safety glasses may disturb the seal of a respirator, causing air leaks. Instruct and train people how to use it, e.g. train people to remove gloves without contaminating their skin. Tell them why it is needed, when to use it and what its limitations are. Let’s take a brief look at the selection of footwear protection focussing on the following: assessment, selection, suitability, fit, and wear rate. Assessment: You have identified a need to wear safety footwear? Why? What are the hazards? Falling objects, slippery surfaces, electrostatic discharge, sharp objects, uneven surfaces, chemicals, wet ground, hot objects, cold etc. 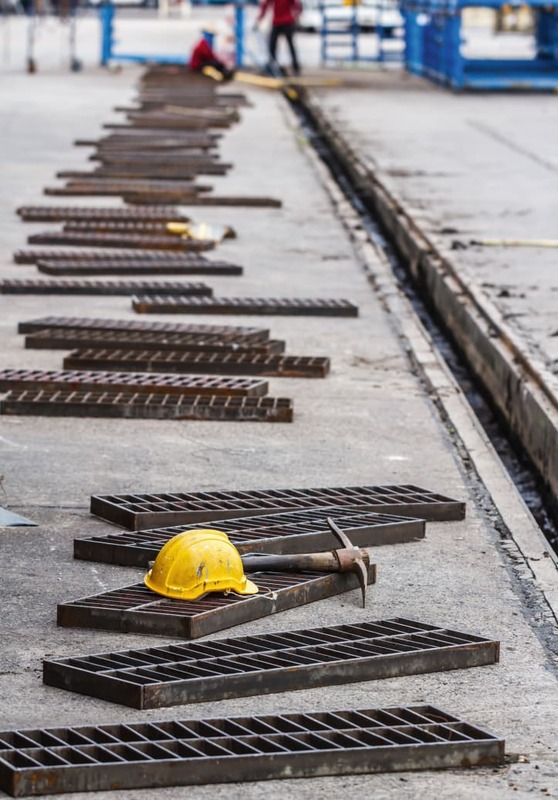 Commonly we face a combination of hazards, not just one – A construction site may well have sharp objects under foot, the potential for falling objects, sharp objects or surfaces that protrude like rebar and concrete blocks, whilst in contrast a drilling deck may have slippery surfaces and falling objects and oil. Selecting the footwear may be based upon the hazards encountered, but also suitability of the environment. The two scenarios described will require very different types of foot protection. Selecting PPE that is suitable enables you to identify what PPE is required for the environment that it will be used in. The construction site may well require mid-sole protection along with toe protection and ankle support (suitability), whilst the drilling deck may not require the midsole protection but will require the soles of the boot to be oil resistant and have high slip resistance. 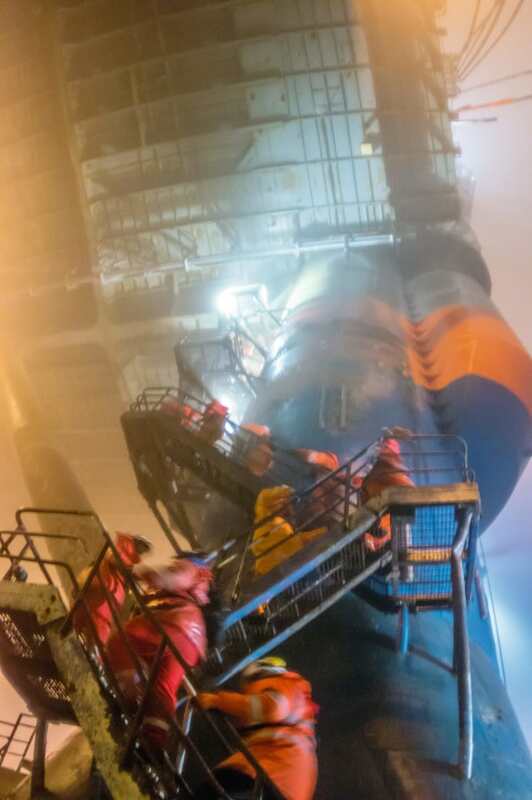 Given the likelihood that drilling decks will become very wet, boots that are waterproof and extend above the ankle are more suitable and afford better protection to users in that environment. Having analysed all the hazards and selected suitable PPE to protect the user, we then need to look at fit and wear rate. With foot protection, fit is probably the easiest of all PPE, given that shoes are truly unique to the individual and employers have little option other than to buy specific sizes for each employee. In contrast, a very common mistake when procuring gloves, for example, it is common to adopt a one size fits all approach and then users don’t wear them because they do not fit. Like feet, people also have different sized hands and need gloves that fit them. Having selected the type of footwear and determined the sizes required, there is one last consideration – how long are they expected to wear the PPE (in this case safety footwear) for? In addition, what are they expected to do in them? Modern technology has meant that toe protection and midsole protection does not have to be exclusively steel. Manufacturers now offer toe protection and midsole protection made from composite materials, which are more flexible, lighter and more comfortable. Hence if an employer must wear boots for 10-12 hours and bend and twist a lot, composites may be preferable – if the hazard permits. Allow me to elaborate on ‘if the hazard permits’. A composite toe with composite mid-sole protection may be suitable in general construction, but may not afford the same degree of impact protection as that afforded by steel toes and a steel toe may be preferable in a foundry, for example. Where PPE is provided, employees must be provided with adequate information, instruction and/or training on its use. The extent of information, instruction and/or training will vary with the complexity and performance of the PPE. For example, full breathing apparatus will require more training to use properly than a disposable face mask. PPE must be properly looked after and stored when not in use, e.g. in a dry, clean cupboard. If it is reusable it must be cleaned and kept in good condition. Now having evaluated the hazards, selected suitable PPE that fits users and provided the training, the employer only has one task left – ensure the users wear their PPE. One of the most difficult tasks a safety professional encounters is getting people to wear PPE. If PPE is correctly selected and is suitable for the work that users are expected to undertake whilst wearing it then your job becomes much easier. If you have sought the involvement of employees in the selection process too or given them a choice of PPE, then you are more than half way there. It is almost impossible to ‘force’ someone to wear PPE that doesn’t fit or is uncomfortable. If it restricts the user from doing the job efficiently then you really are fighting a losing battle. Effective supervision goes hand in glove with leading by example. If managers and supervisors don’t wear PPE, then don’t expect employees to do so. It is understandable that project managers and senior project personnel must wear PPE, but they don’t necessarily need to wear the same PPE as the workers. The nature of their work requires a different selection of PPE, suitable for them, which in turn will encourage them to wear it and in doing so they can lead by example. When encouraging workers to wear PPE you need to educate them as well as educate their supervisors on the type of PPE, what it is protecting the wearer from, how it is to be worn, and how to maintain it. Perhaps now when we realise the complexity of PPE and processes in its selection, use and maintenance, we understand why it is a last resort.